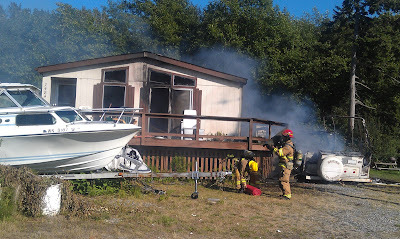 We had a fire in Birch Bay, WA this afternoon. At about 4:30 p.m., there was an explosion and fire that destroyed a motor home and gutted much of a double wide manufactured house on east side of Sunset Drive. Four fire trucks came to fire, and it was quickly extinguished. 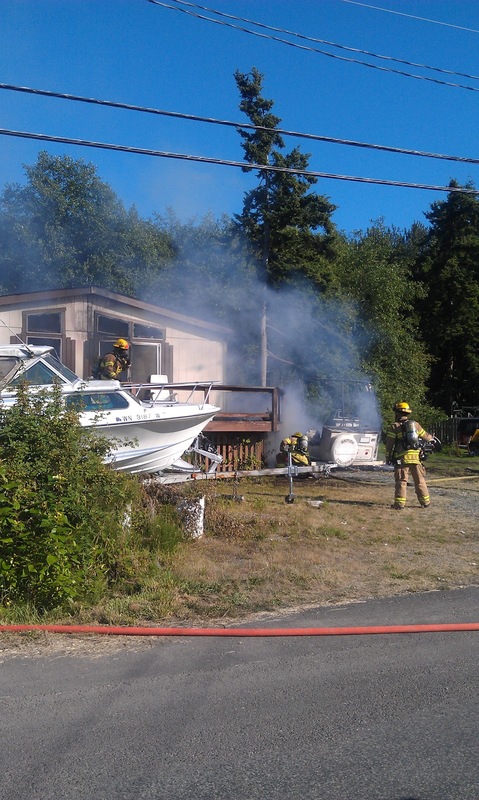 From all reports, no one was injured in the fire. This place is located a couple of blocks and up the hill from where I live on Birch Bay Drive and Morrison Rd.